Her lips are zipped on specifics and it's not exactly surprising. As you may have heard, Jennifer Aniston and Justin Theroux got married in an intimate backyard ceremony in early August. 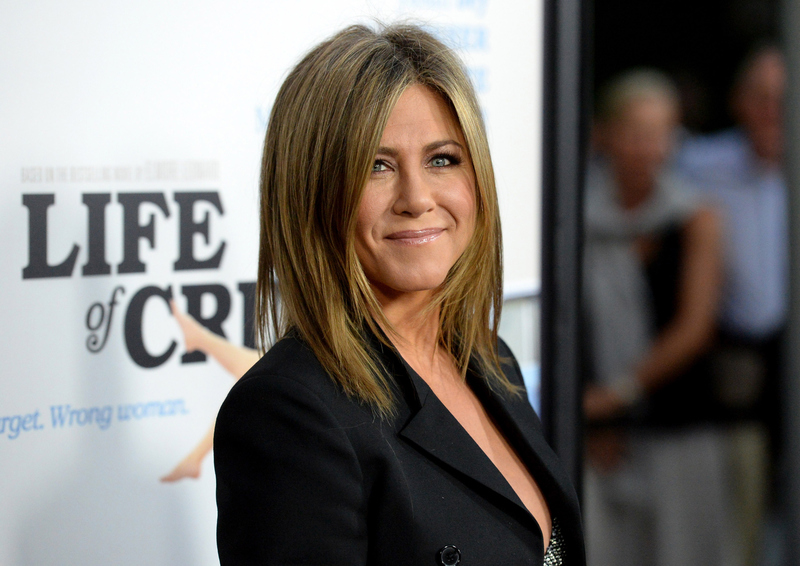 So naturally, as Aniston embarks on a press tour for her upcoming movie She's Funny That Way, reporters seem to have one thing on the brain — and it's not the movie. In an interview with Entertainment Tonight, Jennifer Aniston commented on her wedding to Justin Theroux, but not in the way many fans probably want her to. "We had the beautiful luxury of having a beautiful, private moment. And I’m going to be selfish and keep it that way," she said. There is something to be said for keeping the mystery for a life event as big as a wedding. In fact, I would argue that there is a certain sense of authority behind keeping secret an experience like this. In other words, there is power behind the actress's zipped lips. Think about it. These two are in the public eye all the time, but since this was their private moment, it is entirely up to them how much they want to reveal — a luxury A-list stars don't often have. The ability to keep some sense of privacy while still being public is a hard thing to do, so it is quite admirable. And of course, they are not the first celebrity couple to go this route. Beyoncé and Jay Z got hitched in a top secret ceremony in 2008 after reportedly picking up marriage licenses quietly in New York. It took them a few years before they even publicly acknowledged their wedding much less revealed intimate details. Bey and Jay are one of the most simultaneously visible and private celeb couples out there. It wouldn't be so far-fetched that this is a factor in their ever-growing power. Eventually, the pair's die-hard fans were treated to some wedding footage during their On The Run tour in 2014 — a reveal made even sweeter due to the mystery leading up to it. Blake Lively and Ryan Reynolds are another celebrity couple who kept their wedding much under wraps. In 2012, the Gossip Girl alum and her man tied the knot on a remote plantation just outside of Charleston. Another couple who keep very private about their relationship, they did not even have to say anything to ignite interest in their nuptials. The same can be said about Aniston and Theroux, who were rumored to have gotten married many times before their actual big day. If you're wondering how major celebs are able to keep their weddings private, Aniston did offer some explanation to that: You just have to want it that badly. On Good Morning America, while doing press for her new movie, the actress said of the wedding secret, "Where there's a will, there's a way." Of course, it didn't hurt that the wedding was positioned as a birthday party for her now-husband. But in any case, this shows that their big day went according to their plan and their wishes, which is really worth celebrating in of itself. Congratulations to the happy couple, and kudos to them for finding a way to keep their day special and private!